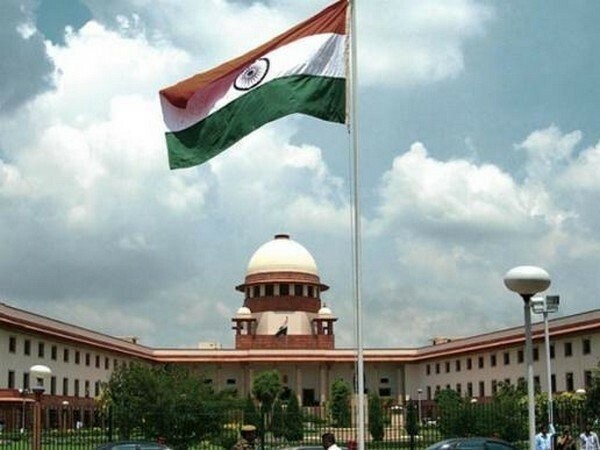 New Delhi (India) Mar 15 (ANI): The Supreme Court on Friday issued notice to the Election Commission on petitions filed by AMMK leaders VK Sasikala and TTV Dhinakaran challenging the Delhi High Court order in the ‘two leaves’ symbol case. Chennai (Tamil Nadu) [India], Dec 8 (ANI): A special ED court has issued a warrant to produce All India Anna Dravida Munnetra Kazhagam (AIADMK) leader VK Sasikala before it in a Foreign Exchange Regulation Act (FERA) violation case. Chennai (Tamil Nadu) [India], May 11 (ANI): Convicted All India Anna Dravida Munerta Kazhagam (AIADMK) leader VK Sasikala on Friday issued a legal notice to her brother V Dhivaharan, asking him not to use her name or photographs. Chennai (Tamil Nadu) [India], Mar. 21 (ANI): Jailed All India Anna Dravida Munnetra Kazhagam (AIADMK) leader VK Sasikala on Wednesday recounted the September 22, 2016 incident before former chief minister of Tamil Nadu Jayalalithaa was rushed to the hospital. Thanjavur (Tamil Nadu) [India], Mar. 21 (ANI): Convicted All India Anna Dravida Munerta Kazhagam (AIADMK) leader VK Sasikala reached Tamil Nadu's Thanjavur district, the place where her husband Natarajan Maruthappa's mortal remains have been kept for people to pay last respects. Thanjavur (Tamil Nadu) [India], Mar 20 (ANI): The mortal remains of convicted All India Anna Dravida Munerta Kazhagam (AIADMK) leader VK Sasikala's husband, Natarajan Maruthappa were brought to Tamil Nadu's Thanjavur on Tuesday. Chennai (Tamil Nadu) [India], Mar. 20 (ANI): Convicted All India Anna Dravida Munnetra Kazhagam (AIADMK) leader VK Sasikala, who is currently lodged in Bengaluru's Parappanna Agrahara Jail, has applied for 15 days parole to attend her husband ccc's last rites. Chennai (Tamil Nadu) [India], Mar 20 (ANI): Jailed All India Anna Dravida Munnetra Kazhagam (AIADMK) leader VK Sasikala's husband Natarajan Maruthappa passed away on Tuesday at around 1.35 am at the Gleneagles Global hospital in Chennai. Chennai (Tamil Nadu) [India] Jan. 12 (ANI): The Apollo Hospital on Friday submitted treatment documents of former Tamil Nadhu Chief Minister J Jayalalilthaa to an inquiry commission set up to probe her death. Chennai (Tamil Nadu) [India], November 18 (ANI): Poes Garden, which used to be the seat of power in Tamil Nadu when J Jayalalithaa was the Chief Minister, was raided by the Income Tax department on Friday night. 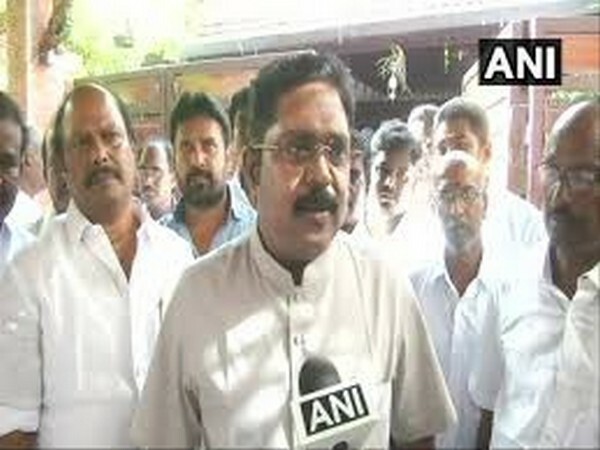 Chennai (Tamil Nadu) [India], Nov 11 (ANI): TTV Dhinakaran has alleged that the raids by the Income Tax department on the offices of Jaya TV and AIADMK mouthpiece 'Dr Namadhu MGR' are politically motivated.